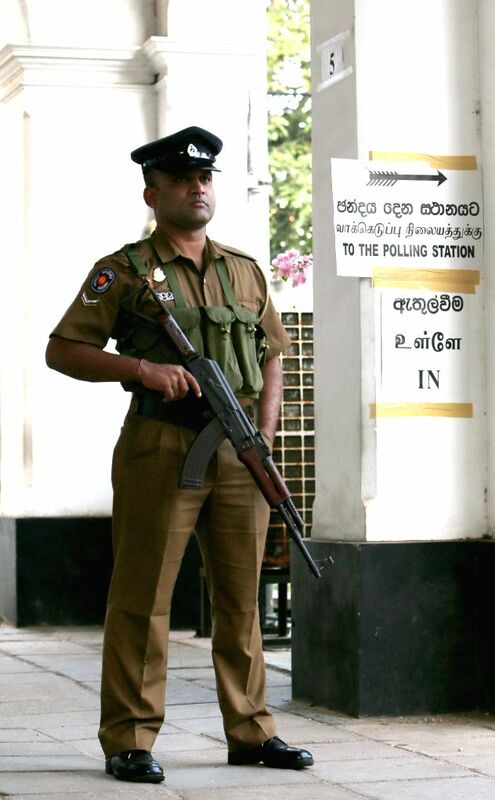 COLOMBO, Jan. 8, 2015 - A policeman stands guard outside a polling station in Colombo Jan. 8, 2015. Sri Lanka held presidential election on Thursday. A voter casts her ballot at a polling station in Colombo Jan. 8, 2015.